Have you given any thought to what would make your kitchen perfect? From the colour scheme and detail, to the layout, style and design. 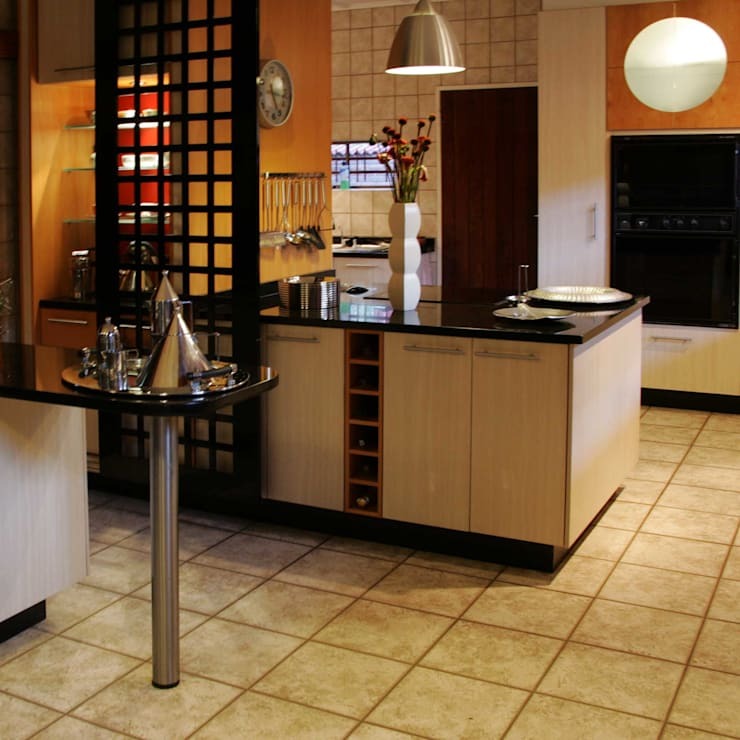 In this homify feature, we look at 9 sensational kitchens that are proudly South African. They include fascinating detail, chic colours, brilliant illumination and even a touch of the eclectic and luxurious. The neutral colour scheme, simple lighting and layout of this kitchen is a great choice for a modern home. 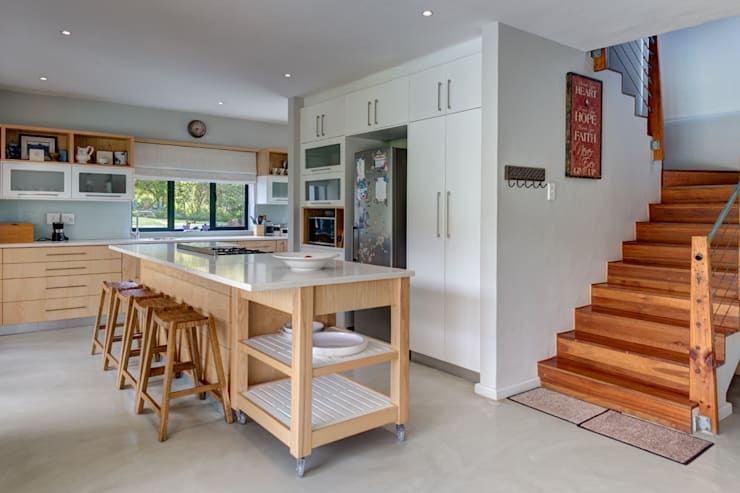 A large kitchen island works as both extra storage and working space. 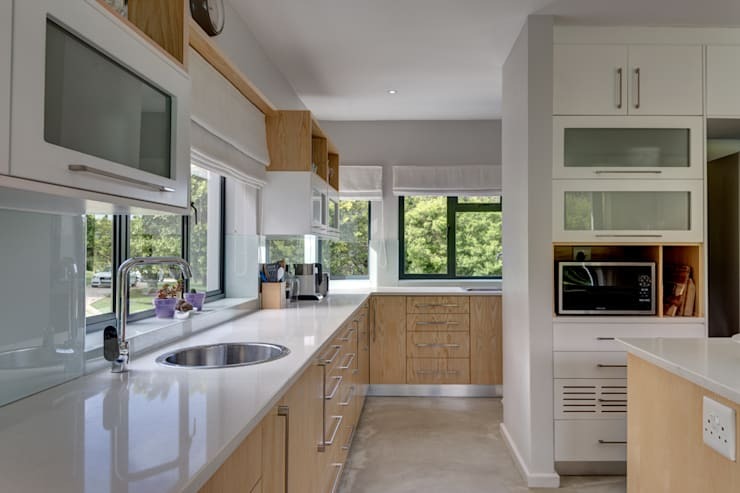 Neutral wooden cabinets and all-white counters are a great modern, minimalist option for your kitchen. It instantly looks neater and tidier too. 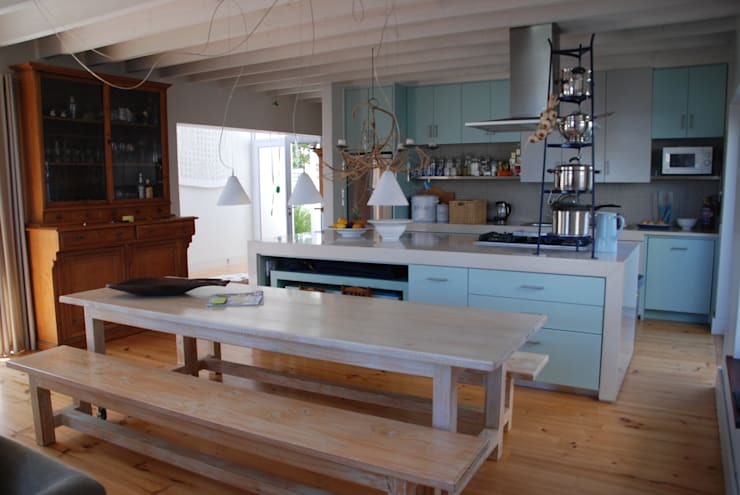 Go for a shabby chic kitchen with a stylish rustic bench and cute colour combination. There's something about chandeliers that makes any space look and feel a lot more luxurious. 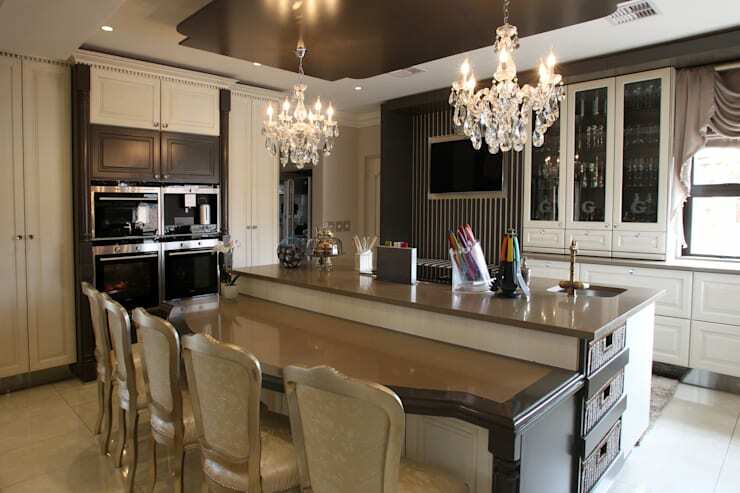 This kitchen will be amazing for a homeowner who enjoys the finer details in life. 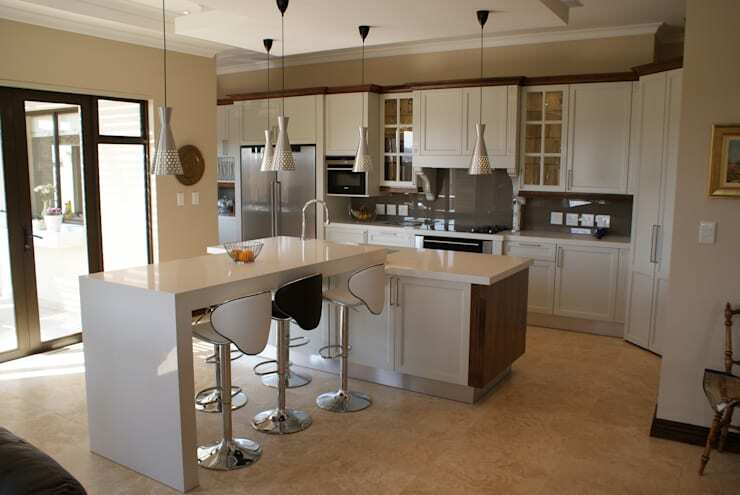 If a more spacious looking kitchen is what you're after, then an all-white design is a superb choice. It's sleek, elegant and attractive from all angles too. So your home is the epitome of futuristic and modern? 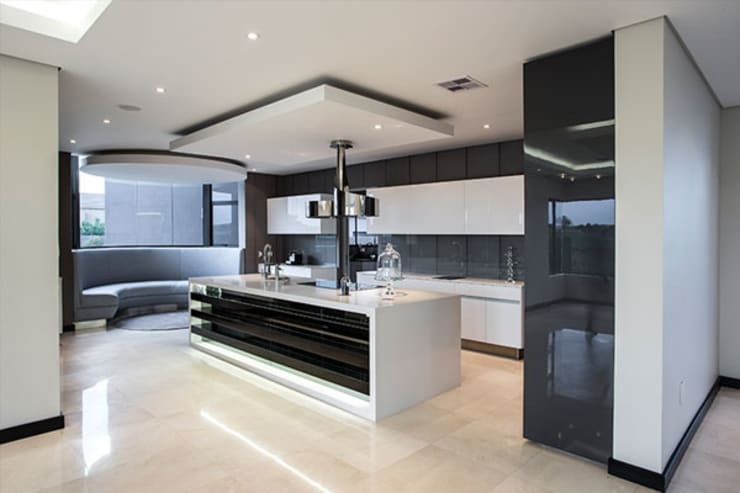 Well, this ultra-sophisticated kitchen may just be the perfect element to complete the decor with minimalism in mind. Alternatively black and white ensures that this space will remain trendy for years to come. 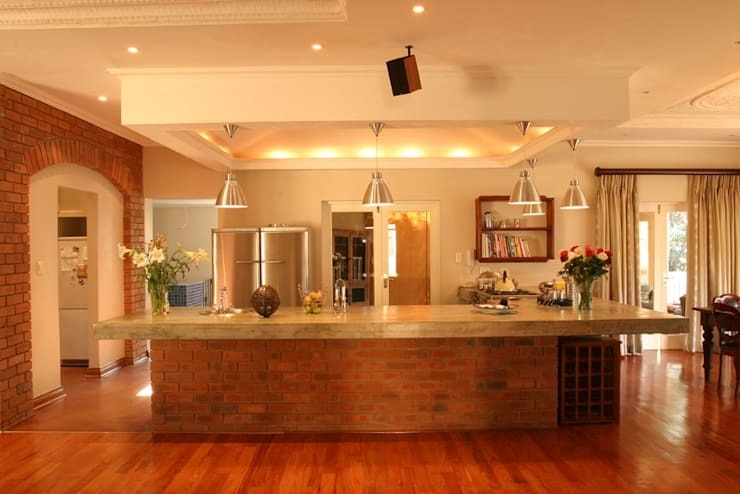 Hang some lights above your dining area and workspace so you can always see what you're cooking or eating. 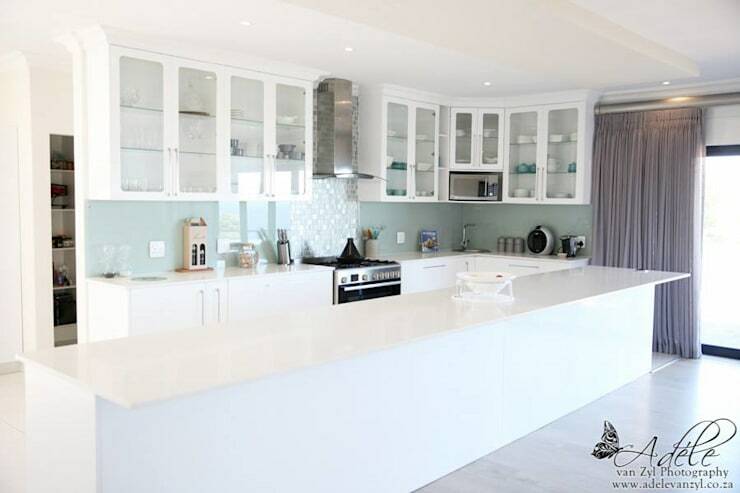 An open plan kitchen doesn't need to be over the top, opt for simple decor and pretty detail instead. Which of these kitchens will suit your home?